The Morgan 3 Wheeler has traditionally been a car built for people who like to wear goggles, silk scarfs and pretend to be WWI fighter aces or if your name is Alex Roy. With the V-Twin engine up front it certainly has the soundtrack of a early 20th century fighter plane, but now Morgan has announced that it will be building a prototype all electric version of its 3 Wheeler called the EV3. 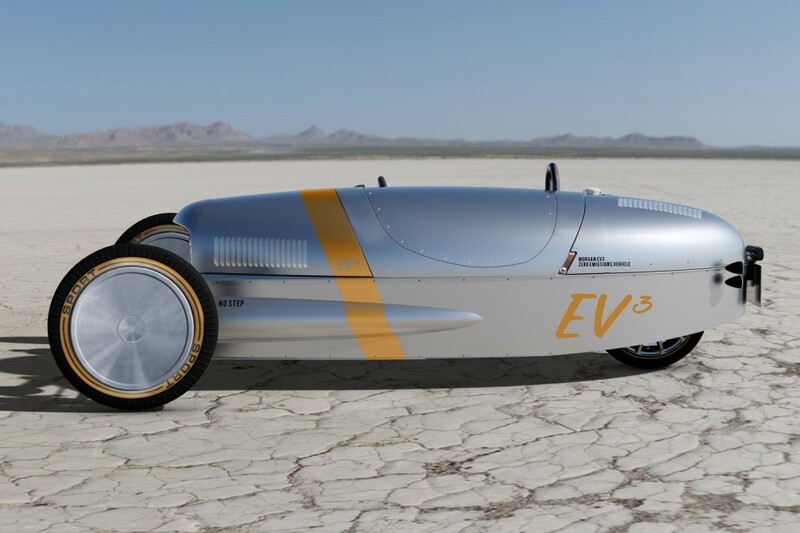 The EV3 will use the same chassis and body as the existing 3 Wheeler and the lack of engine up front gives the car a very salt-flats land speed racer look. The electric drivetrain setup also will produce more power and be lighter then the existing gasoline powered model. And since it will be a hand-built, bespoke British automobile I’m sure all the electrical components will make it as reliable as the traditional 3 Wheeler too. 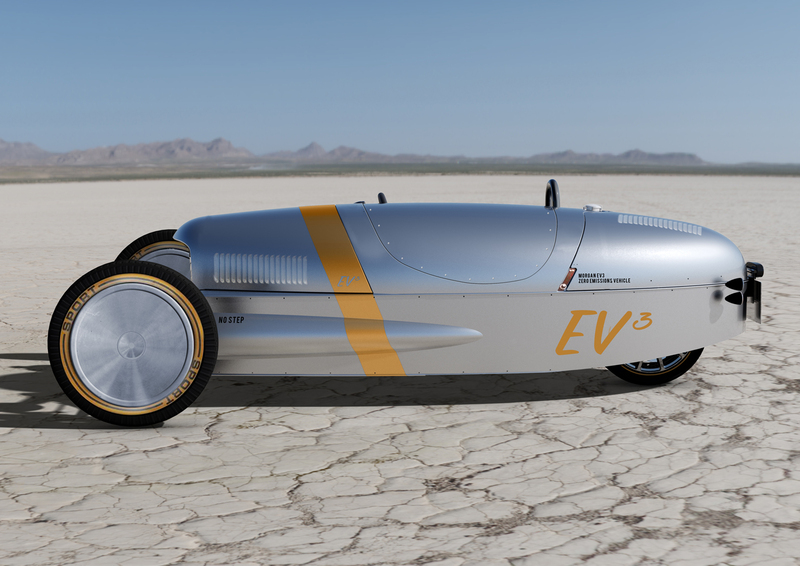 However, at this stage the EV3 is only a prototype but Morgan is hoping that it will enter production soon. Morgan will be bring the first EV3 prototype to the Goodwood Festival of Speed in a few weeks. Car #11 & 17: Shelby worked for Dodge too.